We couldn’t help but swoon after seeing the new Kérastase video on YouTube, ‘Visions of Style 2, 1 Woman. 10 Looks. ft. Anja Rubik’. The Video showcases the new L’incroyable BlowDry lotion and all it can do. It literally takes Anja from sleek and smooth, to free flowing bouncy curls and we can’t get enough of it. The Kérastase Couture Styling Range introduces this miracle reshape heat lotion. Redefining heat-styling with long wear hold and repositionable shape control. It contains Thermo protection up to 230ºc. Controls the look of frizz for 96 hours in 80% humidity (which is perfect with the wether we’ve been having! ), and also reactivates with heat tools even at low temperatures*, meaning you get a lot of style for your money. What more could a girl need or want!? We are so excited to be launching the new French girl Brunette shades from L’Oreal at Level One. 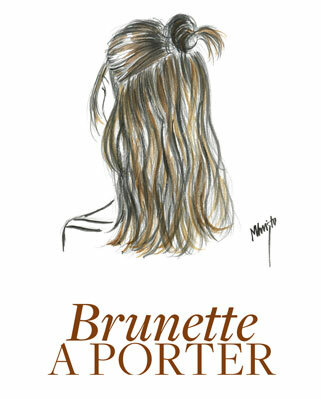 Gone are the days of one dimensional flat brunette colours. The French Girl Hair brunette bar, consists of a perfect blend of tones and technique to give you a perfectly bespoke colour. Brunette colouring choices have blown wide open with choices ranging from French polish hair contouring, baby lighting, brunette balayage and many more techniques finally allowing brunettes to have so much more choice and verity. The tecniques are designed to create optical illusions with in the hair such as, creating width, length and thickness. It can also be used to contour around the face, making eyes or cheek bones pop, all whist keeping a quintessentially french approach to beauty and remaining effortless, undone and classy. *All colour services require a skin test 48 hours prior to the colouring service.